Play slots for fun and enjoy the latest slot machines online for free, with free spins, bonus rounds and lots more. Enjoy playing slots, blackjack, video poker, roulette and many more all for free online. These slots will also play exactly the same as if you were playing for real money, so you can enjoy the latest online slots to learn how they play without the risk. You don’t need to register anywhere to play these slots online, simply click our links below to load up your game. If you lose your online slot money, simply refresh the page to start again. Significant Terms: New players only (first deposit). 100% Deposit Match Bonus from £20 to £300: Min 50x wagering (% game weightings apply), play restrictions apply. Max bonus bet of £5, 15 days to accept & 30 days to complete wagering. 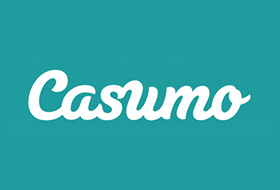 Deposited funds locked to casino platform until wagering met. Your own deposited funds can be withdrawn at any time. Real money funds used first. Free Spins: Available after deposit bonus is redeemed/lost, credited as £2 bonus. MONOPOLY Live only. 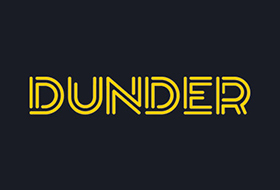 1x wagering and Max bonus bet of £5 applies to winnings, 7 days to accept & 7 days to complete wagering, maximum withdrawal from winnings is £200. Play restrictions apply. Bonus funds used first. Bonus funds used first. Full T&Cs apply. All of these slots play as they would with real money, they are not enhanced in any way on free play mode. If you win or lose, the outcome would have been the same had you been playing for real. You are playing these online slots for fun, there is no real money involved and you can’t save your free money. Once you exit the game, your credits will disappear. Playing slots for fun is a good way to learn how slot machines work, however to get a real feel for how it would be with real money, play on the stakes you would likely play if the money were real. Would you really play for £400 a spin like you can on Golden Goddess? The most common stakes are between 20p and £4 per spin when people play slots online for real. You can play these online slots for free from any country, but players from the USA may be blocked on certain slots. An always popular slot machine, Rainbow Riches is a classic amongst British slot machine players. Featuring Wishing Wells, Leprechaun’s and the super profitable Pots of Gold bonus, this combined with rich reel wins and multiple stake options makes for an enjoyable game that will entertain most slot players. 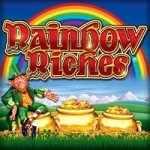 Play Rainbow Riches for free at GamblingJoe. Play Rainbow Riches for real money here. Read our Rainbow Riches Tips and Cheats guide. This slot machine has always been a knock-out with slot players. Although there are several versions of the Rocky slot machine, the most popular is the £500 jackpot version which hasn’t yet made it across to online casinos. This version is still good fun, and remains a favourite amongst slot machine players. Try your luck at Rocky for free here. 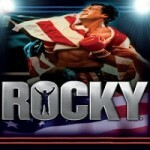 Play Rocky for Real Money at Ladbrokes Casino. The most popular of all online casino games, European roulette needs no introduction. Play for free and try all of your favourite systems without any risk. 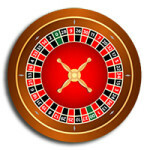 Have a spin on European Roulette online for free. Play Roulette for real money at BetVictor. Read our Roulette guide and Bonus Tips. Not the most popular of casino games in Britain, video poker is nonetheless a highly enjoyable game, offering one of the highest returns to player of any online casino game. Play various Video Poker games online for free. Play Video Poker at 32Red Casino for real money at and see if your luck is in. Still doing the rounds in amusement arcades in Britain, Monty’s Millions is an enjoyable £500 jackpot slot machine from SG-Gaming with tons of winlines and high stacked reels. The free spins bonus is often very generous and is triggered by landing three bonus safes on the centre reels, similar to Pots of Gold. 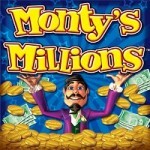 Make a mint playing Monty’s Millions online for free. American Roulette has slightly worse odds than European Roulette, this is down to the addition of the double zero so it’s not really worth playing for real money if there is a choice between the two, however you may like betting on zeros so don’t rule it out entirely. 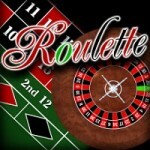 Leran the ropes of American Roulette online for free. Spin the wheels of American Roulette for real money at 888 casino. Read our Roulette Strategy Guide here. Blackjack is one of the most popular table games in casinos, especially for high rollers. Beat the dealer in the closest to 21 to double your money. The game is easy to play and easy to understand, but is often played with multiple decks. 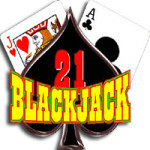 Play Blackjack online for free right here. Play Blackjack for real money at William Hill Casino. Read about High Limit Blackjack here. The Bankers Riches did the rounds in bookies across the UK with a £500 jackpot. The online version is similar but with far higher jackpots and multiple stake options. Land the feature for free spins or the famous Deal or No Deal game. Can you beat the banker in our Banker’s Riches slot game? Play The Bankers Riches for real money at this casino. 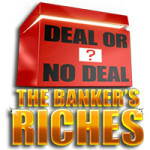 Read our top Deal or No Deal Tips and Cheats Guide. An enhanced version of traditional blackjack, Deal or No Deal Blackjack offers an early exit in the form of an offer from the Banker. This is an interesting concept and is worth a look. 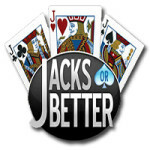 Learn the ropes of Deal or No Deal Blackjack for free. 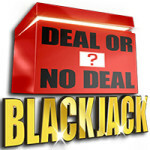 Play Deal or No Deal Blackjack for real money at Sky Casino. Deal or No Deal Roulette is a good fun game offering the standard European Roulette wheel with the addition of the Deal or No Deal bonus. The more you bet on the bonus, the larger the potential win when entering the DoND feature. 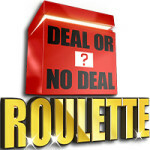 Play Deal or No Deal Roulette online with no risk here. Get stuck into Deal or No Deal Roulette for real money here.